Software to recruiting, banking to therapeutic toys, the Philadelphia 100 fastest-growing privately held companies run the gamut of industries. But many have this in common: There's something familiar about them. Some were founded by locals who became successful, often repeat, entrepreneurs — selling their first start-ups, and often their second, only to launch others. Chris Annas heads Meridian Bank, which is preparing to go public. And then there's the case of Meridian Bank, in which a familiar name was revived to become one of the fastest-growing banks in the region, one seeking to go public this year under the JOBS (Jumpstart Our Business Start-ups) Act. Meridian's chief executive, Chris Annas, 62, graduated from Conestoga High School and Penn State and got his MBA at Villanova. In the 1980s and '90s, he worked at regional banks, including Fidelity, Industrial Valley, CoreStates, and Community Bank of Chester County. In 2004, he and a team started Meridian — a name Annas picked because "it had been bought by CoreStates in the 1990s and was a well-loved bank." "The lending market was fairly good, the internet bubble was over, and commercial businesses were recovering," he recalled. They opened just one or two branches and built a mostly online presence. From $10 million in capital, the new Meridian grew to $80 million today, with loan balances of more than $700 million. In 2011, this Meridian also started a mortgage-lending company, hiring 65 people from Harleysville Bank. "We will be doing a capital offering in the next 60 days to raise more money," Annas said. The bank is headquartered in Malvern and has about 310 employees, including its mortgage operation in Plymouth Meeting. "We're going to raise about $40 million, and we intend to list on the Nasdaq" under the ticker symbol MRBK, he said. Several banks have raised capital under the JOBS Act, but Annas believes Meridian is the only one local to Philadelphia. Revenues increased from $51 million in 2014 to $74 million in 2016, with the bulk of the growth coming from the mortgage business. Terry Williams is a repeat entrepreneur, selling his first staffing company and then opening a second in 2012. At the helm of Audubon, Pa.-based ORS Partners is one of those repeat entrepreneurs, founder and CEO Terry Williams. "We got started after my last firm, TWC, was sold in 2007, and I launched ORS in 2012," Williams said. "We're in our fifth year of basically the second iteration of a successful company that we sold" to a group purchased by Manpower. ORS is "a consulting firm that drops in teams of talent into start-up companies," Williams said. "We build and scale … personnel teams for venture-backed and private equity-backed companies," he said. "When a VC invests $8 million into a technology company in Philly, New York or Silicon Valley, they need to grow from 40 to 150 people fast — so we drop our white-label employees who become their team" for periods of months. Ten ORS Partners clients have either gone to IPO or another "liquidity event" in the last five years, he noted. Among ORS clients are iPipeline, IntegriChain, Energage, ARC Web, ContentWatch, Relay Networks, and InstaMed. The company is on track for $8 million in revenues in 2017, up from $3.9 million in 2014. "We'd like to be at $18 million in three years" and up to about 130 people from the current 75 on staff, said Williams, 61, born and raised in Chester County and a graduate of Indiana University of Pennsylvania. "I'm a serial entrepreneur. I also have a venture fund, NextStage Capital, so I'm an angel investor, and [former 76ers owner] Pat Croce and I do a lot of investments together. I'm a local guy and I've been in this market for a long time." What challenges did he face turning on the growth engine? "It's easier the second time around," he said. "The first time, we had to attract and maintain the best people; you need to have that advantage. We did the same thing the second time." Michael Levinson, co-founder of WizeHive. You could call WizeHive a start-up born of start-ups. A co-founder of DreamIt Ventures, Michael Levinson, started the "accelerator" for college techies and their infant software businesses. From working with schools and student candidates for DreamIt, he and a programmer realized the software platform they'd built to handle all the applications could itself be a business. "I built WizeHive to really be able to help me with the application process for DreamIt candidates. Mike Carson was co-founder and programmer. He built the program behind WizeHive," Levinson said. "We rolled it out in 2009 for DreamIt, then TechCrunch wrote about us and said they'd use it for applicants for their TechCrunch Disrupt conference. After that, I figured there was a market for it. … In 2010, we launched it in the marketplace." 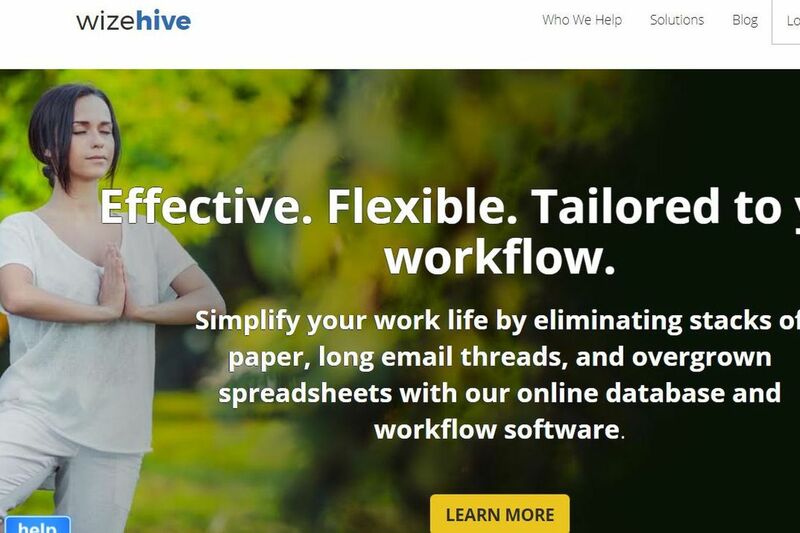 Based in Conshohocken, WizeHive has grown 30 percent annually, a rate Levinson said he'd like to push up to 40 percent or 50 percent. Currently, about 700 nonprofits, colleges and universities use WizeHive for applications, grants, scholarships, fellowships, and awards. A native of Lafayette Hill, Levinson, 57, graduated from the University of Pennsylvania and Villanova Law School. He'd like WizeHive to grow from about 40 employees to about 100. "I like starting things," he said.